Han Solo is quite possibly my favorite character in all of cinema. He’s a scoundrel, he’s selfish, he’s arrogant, and he’s a scruffy looking nerf herder. He’s also a good guy underneath that veneer; he does the right thing in the end, and I love him for that. When Lucasfilm announced that they were going to be visiting Han’s origin in his very own film, I was bittersweet on it. On one hand, I get more of the character I love; on the other, it could possibly ruin him as a character. Add to this the turmoil on set and the underwhelming marketing and it would certainly be accurate to say that I wasn’t looking forward to Solo: A Star Wars Story. One of my biggest fears going into the theater was that Alden Ehrenreich was going to disappoint in the title role, but I’m happy to say that the man impressed me. Ehrenreich delivers as Solo, while making the role his own to a certain degree. This is no Harrison Ford impression, but it’s very much Han Solo. He brings the charisma I wanted, but also a boyish charm and a more naïve quality to this rendition of the character that I found endearing. Donald Glover also does an unsurprisingly good job as the debonair Lando Calrissian. There are moments where you can almost see a young Billy Dee Williams appear before your eyes, which is both a good thing and a bad thing. Sometimes the performance feels more like an impression than an original take on the character. That’s not to say he does a bad job at all, because he has some of the best moments in the whole film, but his invoking Williams’ portrayal is noticeable. Emilia Clarke is also good as Q’ira; she has really good chemistry with Ehrenreich and the other members of the cast. Woody Harrelson is effortlessly watchable as Tobias Beckett, he interacts well with every member of the crew, and Harrelson really leans into the relationship between Han and Beckett much in the same way as he did with Haymitch and Katniss in The Hunger Games, once again excelling in the mentor role. The final cast member of note is Joonas Suotamo as Chewie; this guy nails every second of screen time, from his mannerisms to his his bouncing off of Ehrenreich. He’s crucial to why the dynamic between Han and Chewie works so well, and he gets some of the film’s standout moments. With this performance, Suotamo has truly taken the reins from Peter Mayhew and solidifies himself as this character. The plot for Solo: A Star Wars Story is dead simple…which is kind of part of the problem. The film follow Han Solo as he’s first joining the criminal underworld. We get a lot of information about iconic things, and I mean things that Han has when we meet him in A New Hope, like the dice, the DL-44 pistol, the Falcon. These are things I’m okay with finding out more about, but the actual plot that contains these moments really isn’t all that impactful. I can already hear the “IT’S JUST A POPCORN FLICK, LEARN TO HAVE FUN!” but it’s hard to have fun with a film when a lot of the film we watched feels, in retrospect, so inconsequential. A lot of the characters we meet, be it Paul Bettany’s Dryden Vos or Thandie Newton’s Val, feel like their impact is minimal. They show up, they say lines, maybe even get in a fight or shootout, and then they exit the picture. The only two integral characters, aside from Han and Chewie, are Q’ira and Beckett. Q’ira is essential because she’s Han’s childhood friend, the one who knows the real him, and Beckett molds Han into something closer the the man we know in A New Hope. The villain of the film TECHNICALLY is Dryden Vos, but his presence is null outside of two or three scenes. The real enemy is time, meaning the race against time to deliver the cargo to its destination. 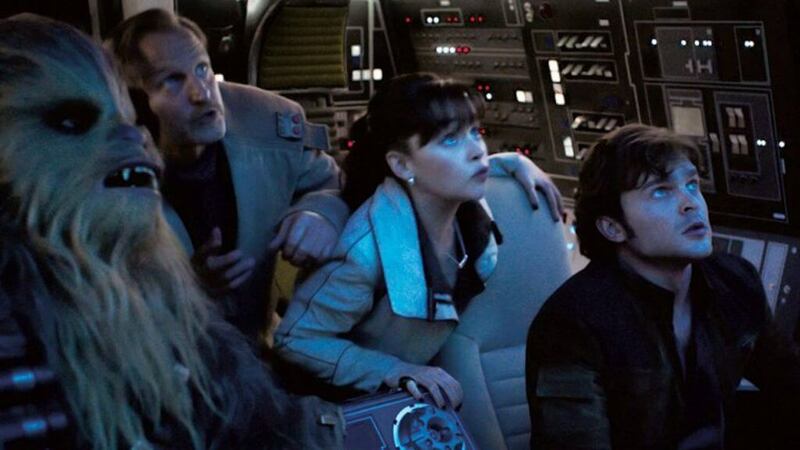 This is the best aspect of Solo, as it lends urgency to the heist plot and creates the best tension in a film mostly devoid of it. But I wasn’t concerned for a second if they’d make it, mostly because, thanks to A New Hope, we know Han and Chewie make it. We know that nothing too serious will happen to the Falcon because it lives to this day in The Last Jedi. The most surprising aspects of Solo are in the third act, and even those aren’t particularly surprising: betrayals, character reveals, etc. (though the final scene between Beckett and Solo is one of my favorites). The film also ends on an unsatisfying note, with enough unresolved to make clear their desire for a sequel. Han is closer to the guy we see in ANH but there’s definitely room to explore more of his journey. The action scenes are solid, but not mind-blowing. Howard captures the adventurous set pieces and shootouts commendably, but there’s nothing here we truly haven’t seen before. Han shoots at people, he flies ships, things explode. It’s entertaining stuff, but I don’t really think any of this is going to stick with me the way that other Star Wars action scenes have. The one that, perhaps, gets the closest is the Kessel Run itself. There are some genuinely thrilling moments in that scene that really impressed me. I obviously knew that Han would accomplish the run, but it’s handled in such a way that I didn’t think about that in the moment. The train sequence they show in the trailers is a good action scene as well, but it’s a very abrupt one. In most heist scenes, we get buildup; the director tightens the screws and elevates the tension so that, when things go awry, the action can capitalize on that. In this sequence, we’re suddenly thrown into the action, and while its well filmed and has some really good ideas, the narrative is serving the action rather than the preferable alternative, and it feels like an action scene just to have one. The cinematography by Bradford Young is stellar, although its really brought down by a nasty color palate. Browns, yellows and greys dominate Solo, and it makes the film look ugly. I can kind of see what they were going for – they wanted to make this look more down and dirty – but it really doesn’t work. 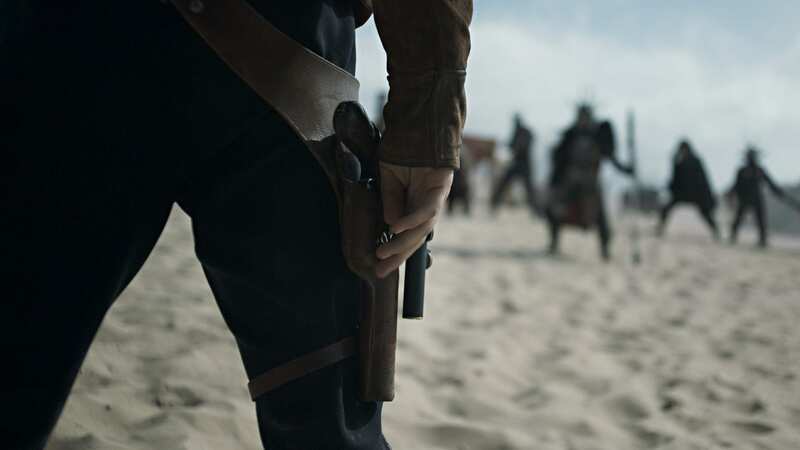 The editing is also problematic, as there are some pretty significant pacing issues; Solo clocks in at 135 minutes, and it feels a good bit longer than that. It’s pretty evident that they had to reshoot the film, as it has a somewhat unfinished quality to its edit. The musical score by John Powell is one of Solo’s strongest aspects. Powell does an excellent job adapting previous Star Wars pieces and throwing in great new additions. He really punches up the action scenes, maximizing the sense of adventure and swashbuckling quality of the film. Without it, I think Solo would feel a bit flatter. The sound design is strong as well, which is standard at this point. The blaster fire is fantastic, the ships are loud, and the explosions are blaring; nothing to really complain about. Is the fact that I had fun with the film enough praise? Every positive review has cited how fun Solo is as one of its biggest positives. Yeah, I had a really good time in the theater, but I have to admit that a lot of my good feelings have to do with the fact that Solo isn’t the train wreck I thought it was going to be. I need to see it again to know if that sense of adventure holds up on a second viewing; I have the sneaking suspicion it won’t. In fact, I feel like I’m going to strongly dislike Solo after seeing it a second time. I really hope I’m wrong. This movie really glides by on it’s sense of fun and adventure; there are some really funny lines and great character moments, as well as answers to burning fan questions. I had a grin on my face for the majority of the runtime, to be completely honest. When I left the theater, I was still smiling. Why? Because they didn’t ruin my favorite character. 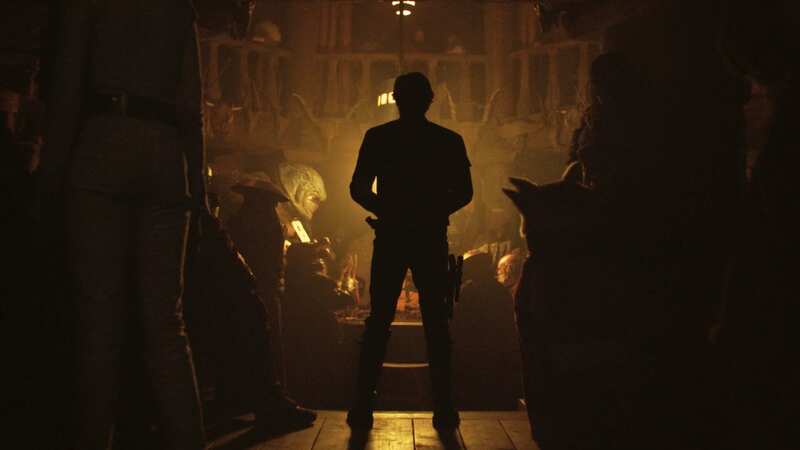 Solo: A Star Wars Story is an entertaining romp, filled with action, fun character interactions and great central performances, but it’s hampered by a stock narrative, pacing issues, and feeling inconsequential overall. It’s worth a matinee for sure. What did you think of Solo: A Star Wars Story? Let me know in the comments below. Stay nerdy everyone! 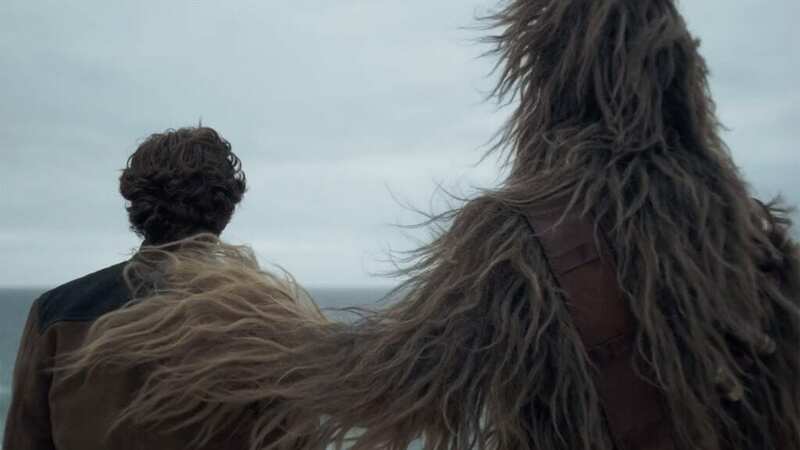 Solo: A Star Wars Story is an entertaining, if imperfect romp through a galaxy far far away.